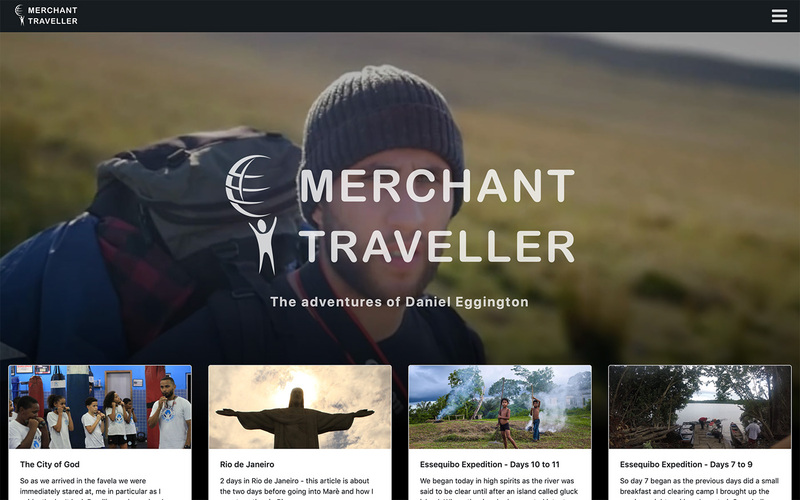 Daniel Eggington, a Birmingham-based world traveller and explorer approached J-D Design earlier this year to start the journey of giving his website a facelift which would better showcase his personally-written blogs and provide Daniel with a foundation to increase his engagement across all of his social platforms. Daniels old website lacked the ease of use for updating and keeping on top of releasing his blogs on a timely schedule, along with not being consistent and professional across all devices. Daniel is now planning a new blogging and content plan, which are now a lot easier and efficient to complete with Daniels new website management system. It all started for Daniel back in 2010 after he embarked on a backpacking trip to Indonesia, where he spent 12 days in the forest with three local guides. Throughout his website, Daniel describes the experiences he's had, how it has developed him as a person from a naive 17-year-old new explorer in a foreign country to the adventure-sharing explorer he is today. Daniel later decided to explore some of Latin America where he experienced his first culture shock, and has also touched down in Costa Rica, Colombia and is looking at completing his next expedition near Colombia at The Darien Gap. Daniel writes and shares all the content on his website himself, in his own words, and aims to build up his reputation in order to follow in the footsteps of other adventure seekers and travel the world making a difference as a career path. After discussing Daniels requirements for his new website and gathering all of his fantastic pictures and resources we are happy to launch Daniels new website and import all of his existing blog articles which are hand-written by Daniel himself in the first person. Daniels new website allows him to showcase his adventures on mobile, tablet and desktop and also builds a foundation of working with J-D Design in allowing Daniel to improve on his online engagement, audience features and marketing over the months and years ahead. Having completed his Mountain Leader training, Daniel has lots planned over the next 12 months, will be performing bigger interviews than ever before - and will continue to share his journey and expeditions via his blog.